Today I’ve updated the gallery with pictures from the three “Millennium” films – some have been replaced by high quality versions, others are new to the gallery. For all pictures, click the previews below or follow the text links to directly view all latest uploads. 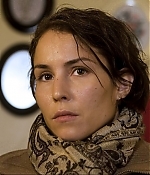 Something I wanted to add to Noomi Rapace Online since its opening was a special on the three Millennium films – and finally, it has been created. 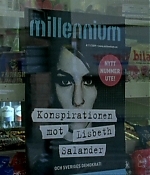 Head over for the special for all essential info on the films, the characters and its author, Stieg Larsson. Additionally, I made a tribute video for the three films to bring you into the mood to re-watch the films :-) Enjoy! Added DVD screencaptures from the making ofs of “The Girl Who Played with Fire” and “The Girl Who Kicked the Hornet’s Nest”, alongside captures from the 2009 documentary on Stieg Larsson, “The Millennium Story”. Over 1.300 DVD captures from the extended Millennium mini-series have been added to the gallery. Since the trilogy was originally planned and shot for television, the mini-series features a lot more scenes than the theatrical versions. Each film is expanded to two episodes, making the series a 6 episodes delight of 9 hours. I’m working on a special section to highlight the extended scenes and notable differences between the film and tv versions, so stay tuned. Frederik December 19, 2010 Comment? Here’s a great early Christmas present for all visitors and fans of the “Millenium” trilogy. 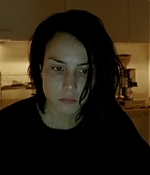 The video archive has been updated with an excerpt of the 2009 documentary “Millenium: The Story” on the life and work of Stieg Larsson, featuring an interview with Noomi on playing Lisbeth Salander (the interview was taped during rehearsals for Medealand). 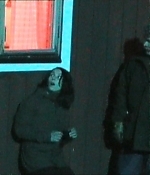 Then, a making of for “The Girl Who Played with Fire” – very interesting to see how the final scene of the film was made. 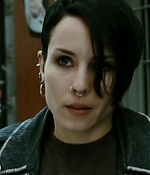 And finally, an on-set interview with Noomi while shooting “The Girl Who Kicked the Hornet’s Nest”. Enjoy the new clips!